If there's one thing we've learnt this month it's that babies move really fast and our home is incredibly unsafe. It seems like only yesterday Joshua was a little cute lump not really doing much and now he's whizzing around, trying to eat chargers and push the tv off the stand so we've had to go full scale home safety to stop the little devil from hurting himself and us having a heart attack. 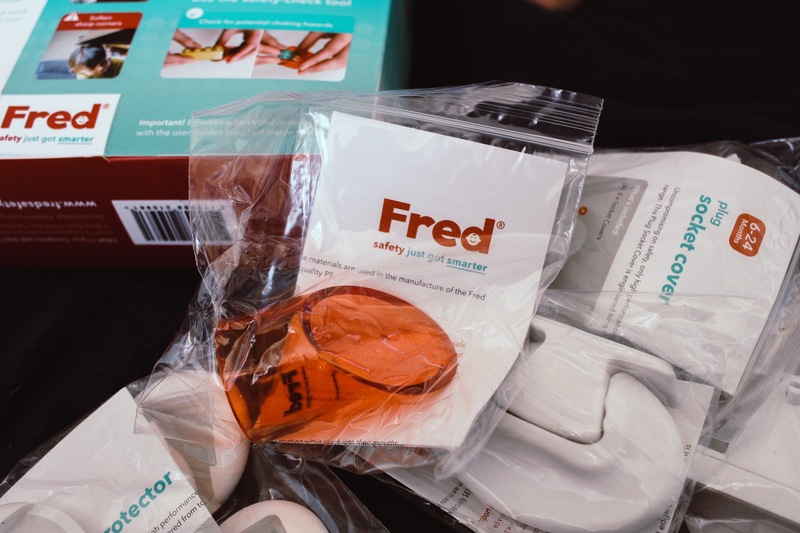 A number of months ago, we received the ultimate home safety kit from Fred, available from Fred Safety and it has been a life saver! We didn't know what we would need and we didn't need to worry as we had it all there ready to go for when the time was right. Fred is a father and son dream team with almost 60 years experience between them when it comes to home safety products. 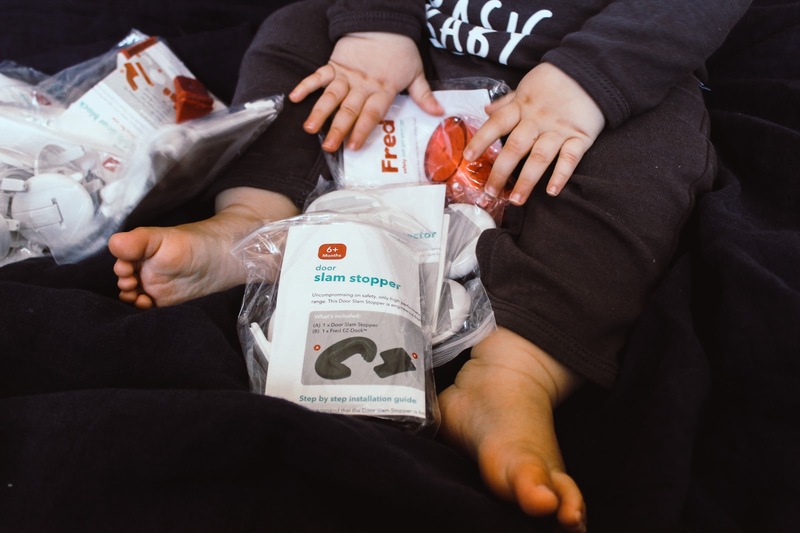 Accidents can happen and Fred have come up with a range of different ways to improve child safety giving you peace of mind. The products are sleek, easy to install and trustworthy. Everything is made using high performance materials which you know will work, something I find incredibly reassuring. 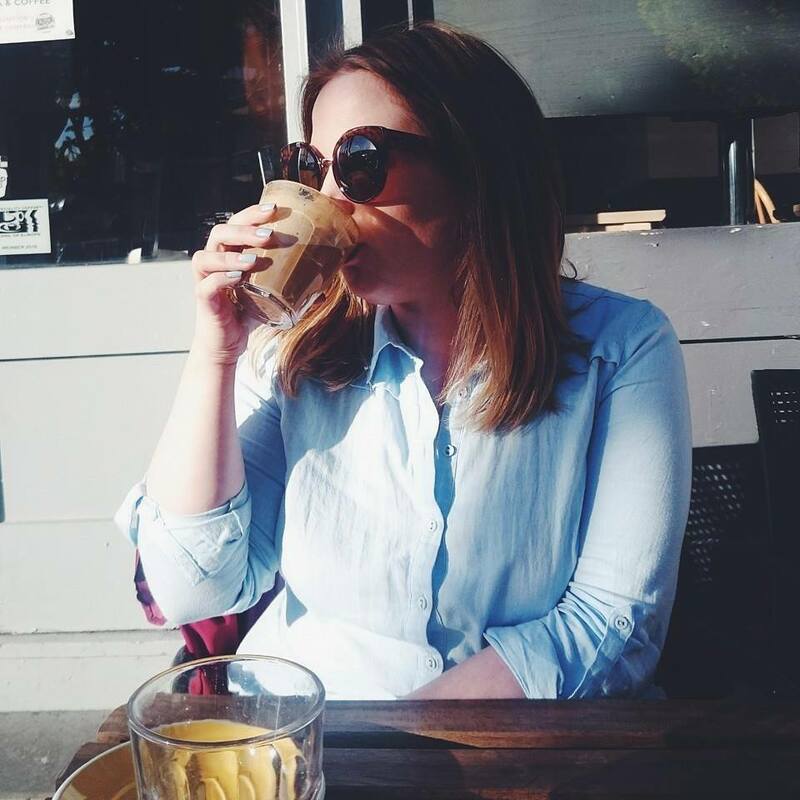 The instruction manuals are fool proof and if you're really not sure you can watch how you're meant to set things up via the many helpful videos they have available. If only more companies did that, less pre-baby arguments would happen, I can tell ya! 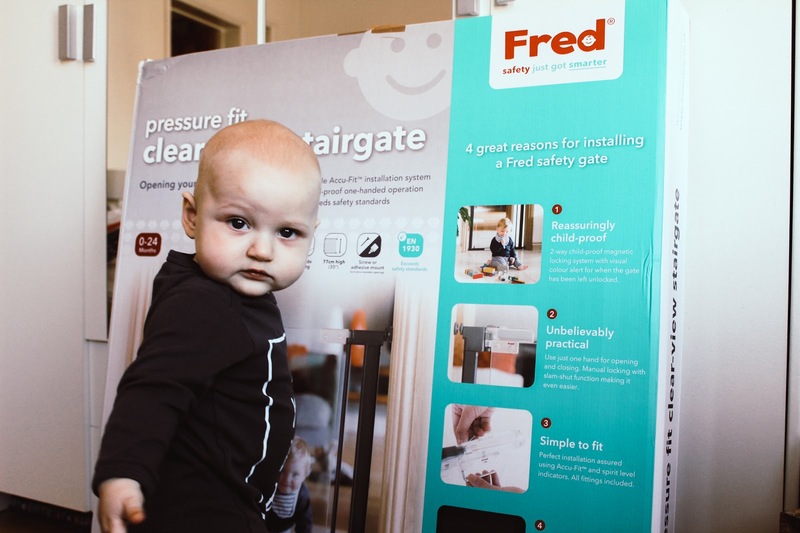 The Fred Clear View Stair Gate (£150.00) was something that stuck out to us because it opened the room up so much as it was clear and we could see Joshua properly at all times. It has a two way magnetic locking system as well as fast mount installation which means it's up in no time at all and it's perfect for the top of the stairs. 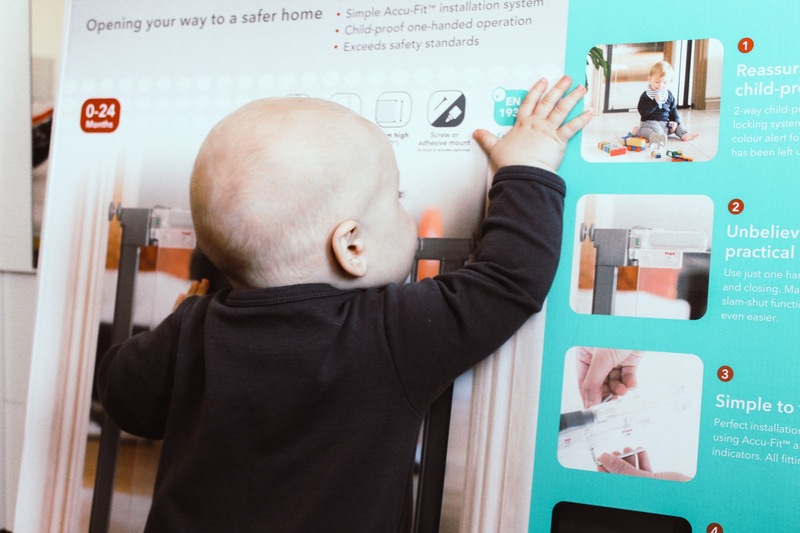 We've also been using the Fred Home Safety Starter Kit (£24.99) which comes with everything you need to protect your little ones from all the dangerous objects inside the home. The seventeen piece kit comes with a door slam stopper, a choke tester as well as a range of catches for drawers and cupboards. 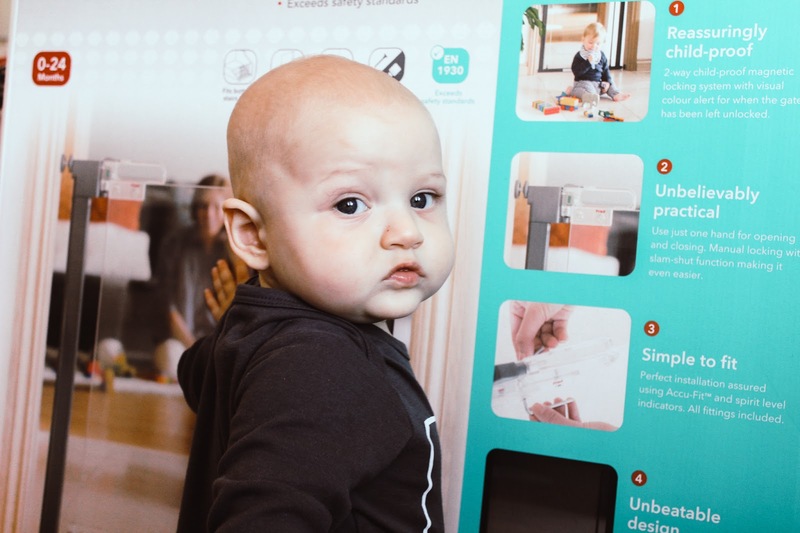 Using Fred Safety has made making our home safer for Joshua a lot easier although he seems to find new things every day so at this rate we'll be taking our shares in the company. If you have any home safety tips, throw them our way! All products featured were gifted and are press samples - please see disclaimer. I know the heart attack feeling! I’ve been on puppy watch 24/7 for weeks now and if you take your eye off them for 2 seconds they’re doing something naughty! How is he crawling already? He is getting so big!! thankfully I don't need the baby proofing anymore - but I HIGHLY recommend getting a toilet one - my son put my brand new iphone down the toilet, it was there for 20 minutes and it never worked again. I almost sold him on ebay. His little face in these photos are so funny! I can’t beleive he’s crawling already. Once my niece started crawling my brothers house turned into a war zone because they weren’t prepared! That’s such a cute photo of him! This sounds like the ideal way to make your home safe. Awww what a cutie! I will deffo let my sister know about these my nephew is definitely trying to crawl now so will be up and about in no time haha! Awesome that he is already crawling, now all of the baby proofing to get through! Nothing will be safe now he's crawling! It's surprising what they can get into when you've got your back turned for a second!